Hello blog readers! 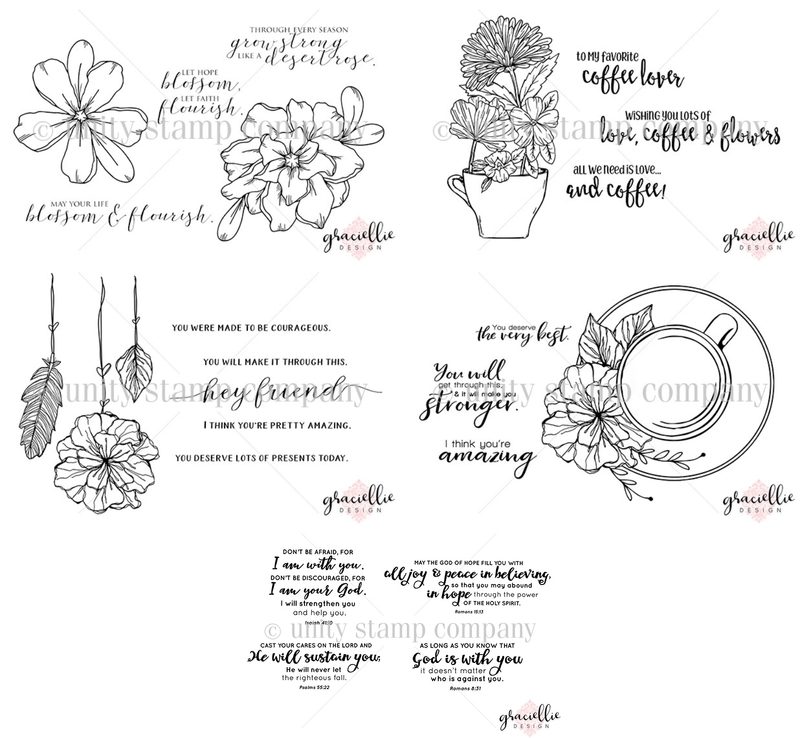 Tonight I have some exiting news - there are FIVE NEW rubber stamp collections designed by Graciellie Design being released today through the Unity Stamp Company! 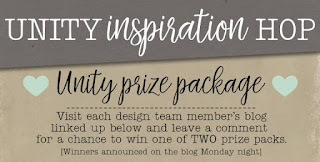 Unity is sponsoring a fun blog hop with prizes, so be sure to scroll to the end of this post for the complete list of links to visit. This first card uses feathers and a sentiment from the new Hey Friend stamp set. I colored the tips my feathers with Prismacolor Pencils and carefully moved the color up with my blending tool for an ombre effect. For my second card, I colored my image from Tea Cup Floret with Prismacolor pencils. I added some lines of cream to my coffee with White Opal Liquid Pearls. The gold rims of both the cup and saucer were created using Gold Stickles. I die cut and matted my sentiment using a Hero Arts die (Handmade Tags). To create the gold border on my polka-dot designer paper I: masked off the edge, inked it with Versamark Watermark ink, and added gold embossing powder. Four tiny pearls in the top left corner finish off this card. My third card uses a verse from He will Sustain You and flowers from Blossom and Flourish. I used my Spellbinders Nestabilities (Circle and Scallop circle) to cut and layer my verse - adding a little faux stitching around the edge with a Sharpie Marker. I colored my flowers with Prismacolor Pencils and added them to the edge of my verse along with some die cut branches (Fall Foliage - Tim Holtz thinlits). The background is a piece of white card stock embossed with the Christmas Quilt Embossing folder from Couture Creations. Some tiny pearls in the corner and flower centers finish off this design. For my last card I could resist trying to create something masculine with the feathers from Hey Friend. For the background I scored a piece of kraft card stock (Martha Stewart scoring board) every 3/4 inch and swiped Gathered Twigs/Walnut Stain Distress ink down it. I spritzed it with water and heat set. After arranging my dictionary page feathers, I added a burlap string bow and a wooden button. The sentiment is from the same stamp set as the feathers. Here's a look at all the Graciellie Designs stamp sets being released today! at each stop to be entered in the prize drawing. Esther - YOU ARE HERE! Great ideas for the cards! Lovely work! Love the coffee one! Wonderful cards. So thoughtful and the coloring and designs are beautifully done! 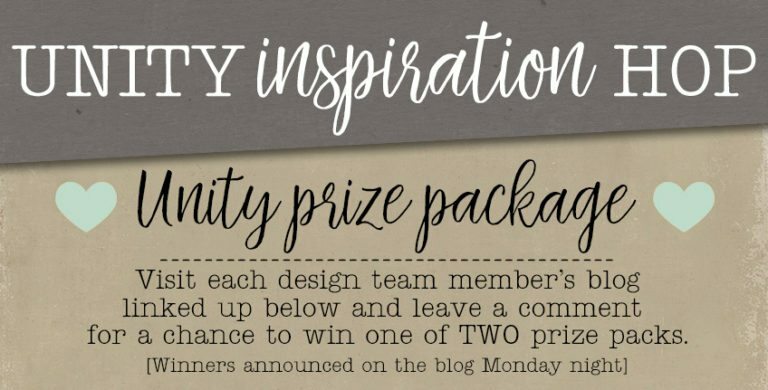 Lots and lots of inspiration here! Lovely! Some wonderfull cards on my screen again. Really like the feathers and coffee ones. Good morning Ester! Your cards are all just beautiful! Fabulous array of colors on your cards! Love them all! Love the gold on the coffee cup! Wonderful collection of cards! Fresh, sweet and simply lovely. These cards are amazing!!! Love what you did with them!! Your cards are beautiful. I especially love the last two. Each card is great! Love them all! The one with the rainbow feathers is a nice take on it! What an amazing post with great work! Beautiful cards. Anyone receiving sure to be smiling. Love all your creations. You add just the right amount of bling and color. I just think your cards made me hit the purchase on my cart. LOL I love all of them. Just beautiful. Great coloring and designs. Thanks for the inspiration! AWESOME cards! I especially love the coffee cup one where you embossed it in gold! Really adds to it nicely! Esther, these are all so very lovely! Beautiful work showcasing these stamps! Love the he will sustain you set card w/flowers grabs my heart strings, and the coffee/tea cup and ... love all of them! These cards are all lovely ! My favourite one is the one with the colorful feathers. Each one is so different and lovely. You are creative and eclectic. Thanks for sharing. Well done cards ... every one of them! The whole team has brought the new stamp sets to life! You did a great job! Each card is beautiful. I love the simplicity of the rainbow of feathers. Perfection! Each of your cards are beautiful! I love how you used the feather stamp from the, "Hey Friend", kit in such a unique way stamping over a dictionary page and clustering them together over the warm brown background! Really neat! The colorful feathers are so pretty, but I think I may like your masculine version even more that is so cool! the cream in your cup is a cool touch, as is the gold rim on the cup and saucer. Love your uplifting verse on the 3rd card with your lovely flowers! Esther, these are lovely. You've made them come a live. You have lovely cards. The third one is my favorite. Loving your beautiful cards! I really like the background of the last one, I really need to give that a try. Thanks for the inspiration. Fantastic cards! I really love the colourful feathers of the first one. Very lovely cards. Thank you for the inspiration. Wonderful cards and I am especially drawn to the last masculine card and the great way you did the wood. Hi Esther, I love your samples, I've saved them for inspiration for when my stamps arrive! These cards are so amazing, Esther! I love Gracie's new stamp sets! !